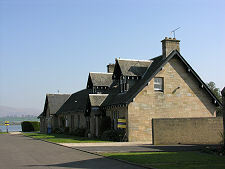 The model village of Dunmore lies on the south west shore of the River Forth, a little over a mile north of Airth, and a little further north of the Kincardine bridges. It must be a strong contender for the title of "prettiest village in Scotland". Having said that, there is very little in Dunmore apart from people's homes, so anyone wanting to visit should be aware of that and respect residents' privacy. 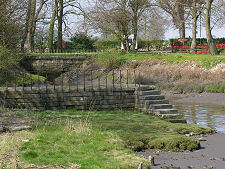 The origins of Dunmore date back to the a settlement known as Elphinstone Pans, which had an early harbour from which locally-mined coal was transported. 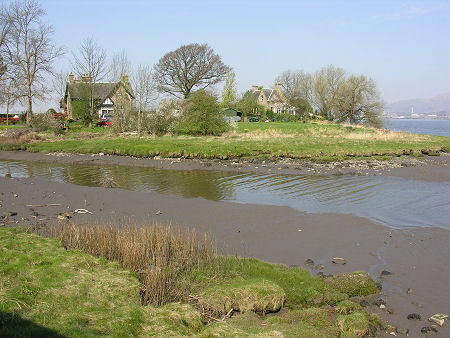 The name of the village is a clue that some of the coal was also used to heat salt pans on the foreshore to produce salt from the waters of the River Forth. 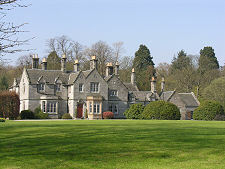 In 1754 the estate on which the village stood was purchased by John Murray, 4th Earl of Dunmore, from the Elphinstone family for £16,000. 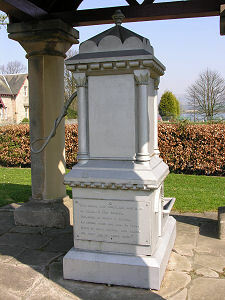 From the mid 1800s Elphinstone Pans was redeveloped under its new name, Dunmore, into a model village for estate workers employed in Dunmore Park and others, including miners and salmon fishermen. The Illustrated Architectural Guide to Falkirk and District says Dunmore contains "cottages variously crafted in contrasting Scots and Cotswolds vernacular: former with bracketed roofs, square-cut chimneys, porches and dormers; latter with clipped eaves, chamfered chimneys, slabbed gable trim and stone transomed windows." Most visitors will pass by the fine detail and simply be struck by the strong visual attraction of the village. 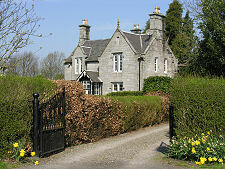 Dunmore comprises a short access road leading from the A905, flanked by houses standing in their own gardens. This leads to a large open rectangular green. 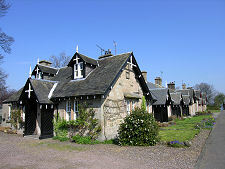 Cottages line three sides of this, leaving most of the fourth side open to views over the River Forth. Part of the fourth side is also occupied by the wooden clubhouse of the Dunmore Bowling Club, whose well manicured bowling greens occupy the half of the village green closest to the river. 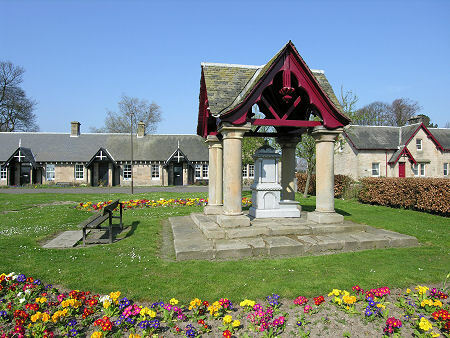 The centrepiece of the other half of the green is a columned and slate-roofed pavilion housing a drinking fountain (see header image) which provides a focal point for the whole village. Elsewhere, the last cottage on the south side of the village was originally the smithy: its identity made clear by a front door shaped as a horseshoe. 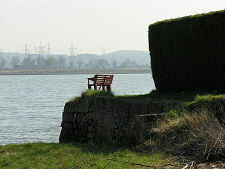 Dunmore's river frontage looks partly across the River Forth to the Ochils beyond, and partly onto a small inlet which bites into this shore of the river. Here you find a stone pier once obviously used to moor boats, while the far side of the inlet is the location of more houses, these complete with a semi-island feel. A little south of Dunmore, standing back from the main road in its own grounds, is what you could be forgiven for thinking is Dunmore Park House. 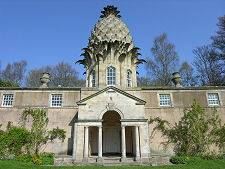 In fact it is the estate parsonage, whose grandeur gives some indication of the style and scale of the now ruinous main house, out of sight in an estate now best known for the marvellous Dunmore Pineapple.